might be getting the annoying prompt about “You don’t have currently access to the following folder bla bla..” i.e. 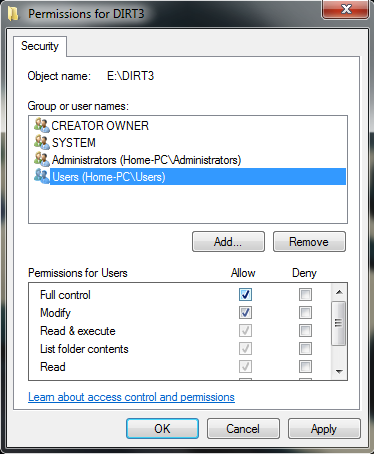 a file ownership and permissions related issues. So will tell you how to fix this in a simple way. It is because of Windows 7 has implemented some security mechanism to prevent file or folder modification by not allowing users other then owner of file or folder to access it. So if you need to access, modify or delete such files or folder you Firstly, need to take ownership then assign rights or permission to respective users. 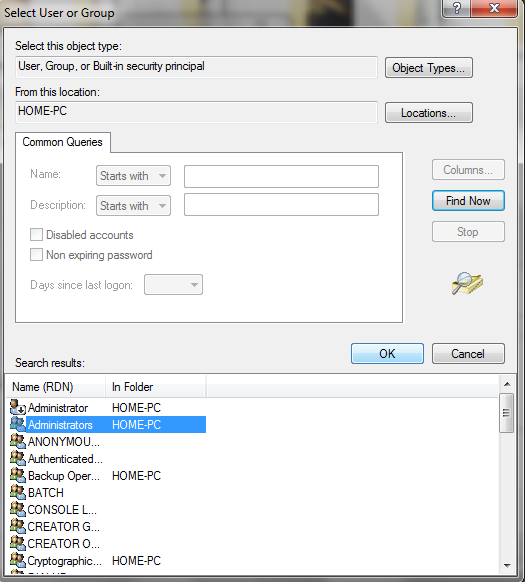 Right click on file or folder and select “Properties” from pop up menu. Now click on “Owner tab” in Advance Security Settings for User dialog. Click on Edit Button and select “Other user or group” Click Find Now. 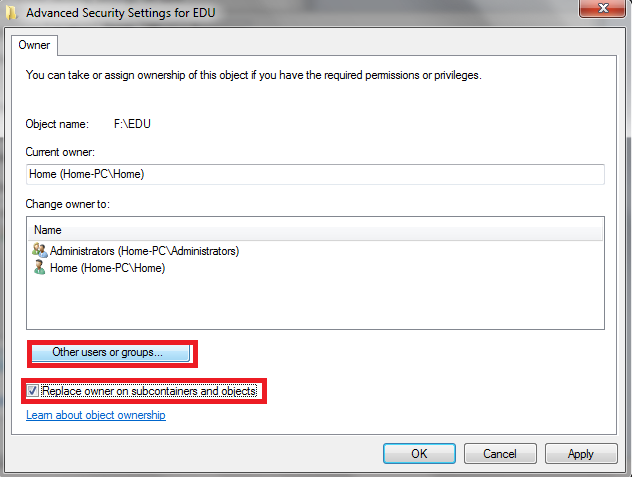 Select the Administrators group or your user that you want to give permissions for and then “click OK”. Now select User/group that was selected on step-5 and check “Replace owner on subcontainers and objects” then click apply and ok.
Click ok when Windows Security Prompt message is displayed. Now You are the owner and now click “Ok” to exit from Properties windows. 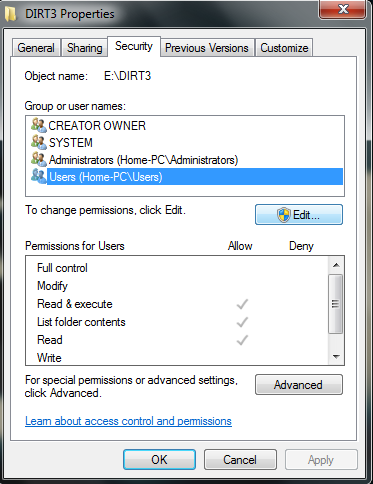 After you have taken the ownership the next step is to Granting Permissions to that folder. Right click on file or folder and select “Properties” from Pop-up Menu. Go to the “Security” Tab and select the user or group that was made on first post above and click “Edit”. Now Select Allow checkbox on the Full Control, then click Apply OK. Voila!! 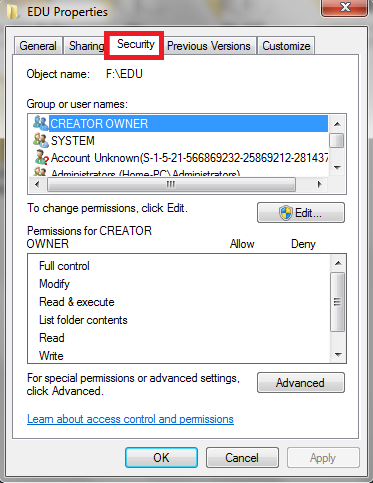 Now you have access to all files of folder in windows 7 with full permissions.